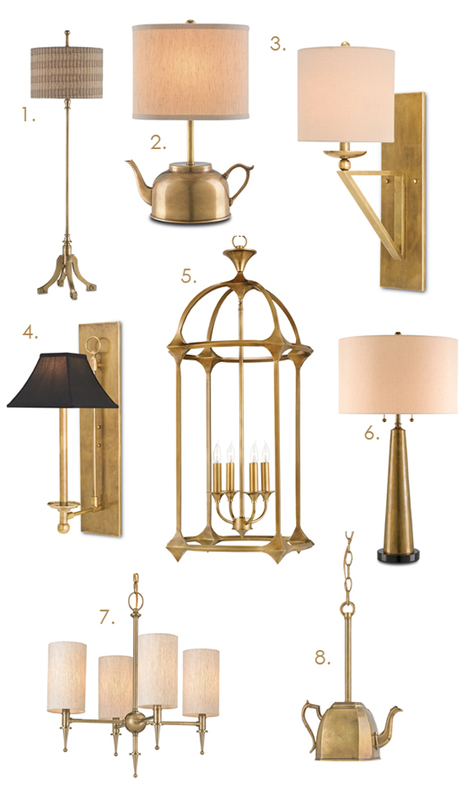 Currey & Company’s collection of brass lighting fixtures highlights the timeless appeal of this excellent material with an up-to-date look and hand-crafted details. Made from high quality solid brass, these items feature both machine made and hand-crafted parts that are expertly fitted together and finished in a vintage antique wash. Our brass items are designed to improve with age and feature a living patina that darkens over time. This entry was posted in Currey & Company, Products and tagged Chandeliers, design trends, floor lamps, Gold, Lighting, Natural, Table Lamp, Wall Sconce on February 10, 2015 by Currey & Company.